Most of the lighting fixtures have arrived and most of those have been installed. At the same time, the cabinets and trim are going in and my wife is hard at work doing a custom paint job in the kids’ rooms. The millwork company did an excellent job with our cabinets. They are attractive, sturdy, and the hardware is very smooth. Since the upgrade cost was surprisingly inexpensive and we entertain a lot in the kitchen, we opted for premium slides and soft close pistons on all of the kitchen hardware. It was clearly a good choice. The electricians won’t be back until late in the week because the 2nd wave of lights are all coming in various UPS packages. In the meantime, the millwork folks will continue their job of trimming up all of the windows, installing the doors, and hanging cabinetry. I ran about 300 feet of conduit throughout the house. There are eleven connected boxes spread throughout the house leading to nine home-runs. The end result is something I’m very happy with. Since most of the endpoints won’t have anything run to them at this time, I bought blank paintable metal box covers. Anyone who thinks the kitchen photo looks familiar may have seen the walk-through tour video I posted five months ago. 1120 is in nearly the exact same stage that the other house was in when I shot that video. Eagle-eyed observers might also notice several sheets of paper taped to the windows both in the photo above and in the video. Those are the Murphys’ way of communicating customizations and changes to the subs. 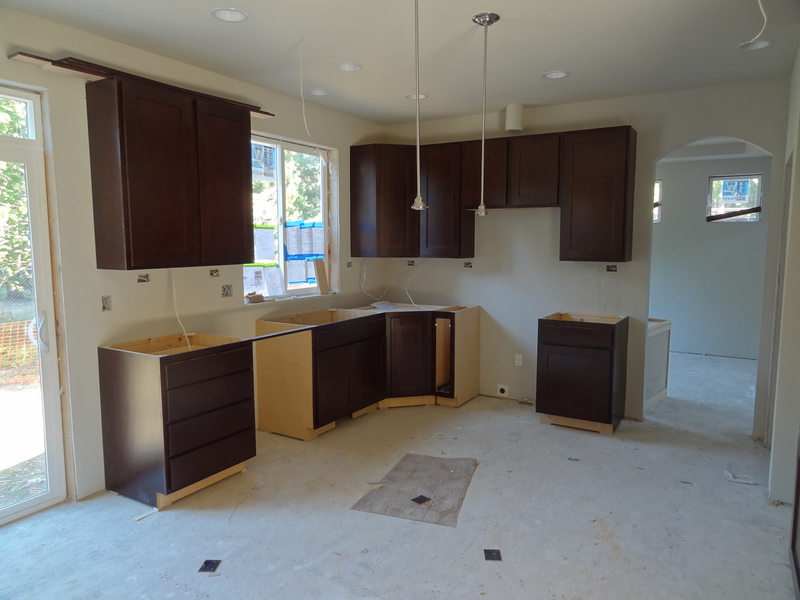 I added several sheets to the photo on the left, one for each appliance to be installed in the kitchen. That way the cabinet installers could know if there were any last-minute tweaks required because of our choices. 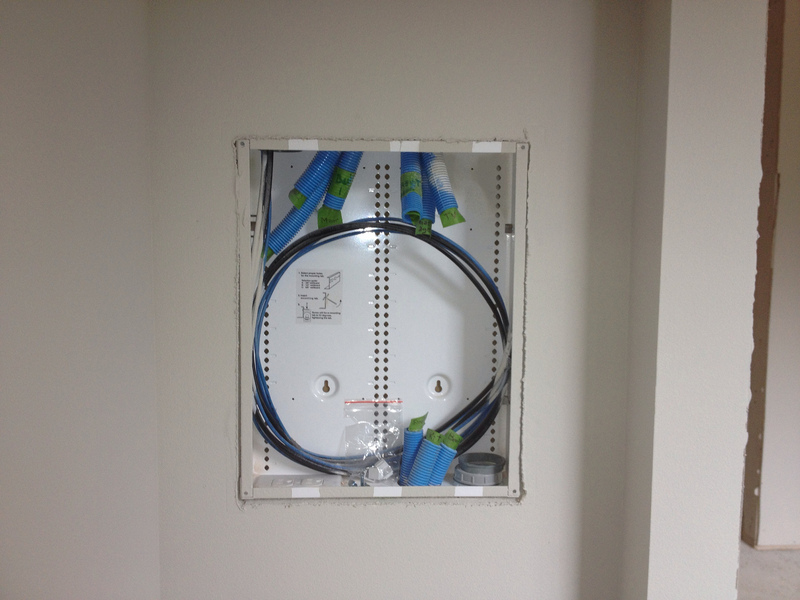 This entry was posted in Construction and tagged appliances, cabinets, electrical, lighting, paint, progress, trim. Bookmark the permalink.